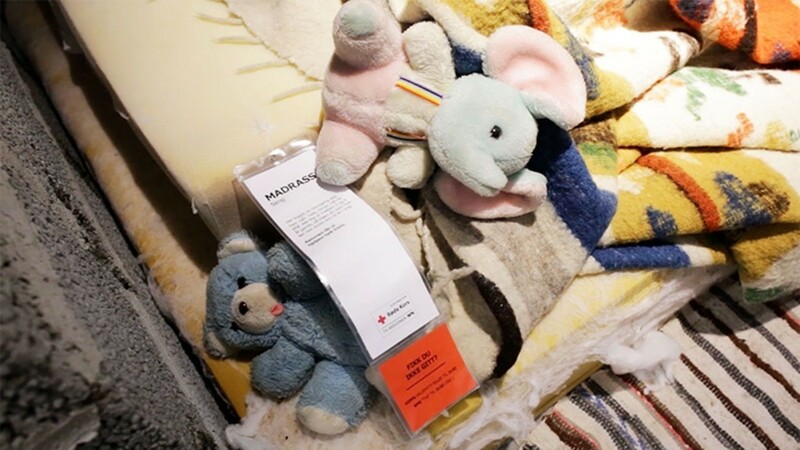 Amid the displays of comfortable, modern furnishings at IKEA’s flagship store in Norway stood a room with concrete block walls, makeshift mattresses on the floor and a few treasured possessions such as soft toys. 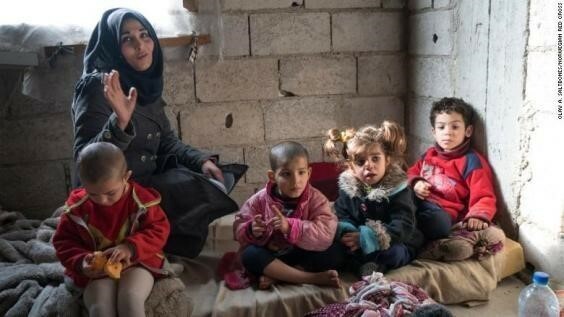 The display, called '25 Square Meters Syria', was a replica of a real home in a suburb of Damascus, Syria, where a woman called Rana and her four children live. The fundraising initiative from the Norwegian Red Cross and IKEA, designed by ad agency POL, aimed to bring the realities of living in war-torn Syria home to customers, who could walk through and explore the installation. IKEA price tags placed on objects throughout the display told Rana’s story and provided more information about the war in Syria and how shoppers could donate to the campaign. The tiny, unfinished apartment is in a suburb of Damascus that has not suffered from heavy shelling, but living conditions there, especially with the onset of winter, are bleak. Rana had to give up her teaching job to care for her family and they depend on food aid from the Syrian Arab Red Crescent (SARC) to get by. "When we had to flee to this area to find safety, we did not have enough money to rent a better place. We have no money to buy mattresses and blankets, or clothes for the children," Rana told the Red Cross team in charge of the project. Around 40,000 people visited the store each week while the replica of Rana’s home was on display. The installation was part of a wider campaign that raised 22 million euros to support the Red Cross's work in Syria. “We had been working with the Red Cross for months, so we had a lot of footage from Syria. But no matter how emotional it was, nothing got close to the experience of visiting people in a war zone,” said Maja Folgerø, who worked on the campaign. “We realized we could give Norwegians that experience at IKEA. At the one place where you think of and plan the future - the apartment served as a physical reminder of how lucky we are," she said.